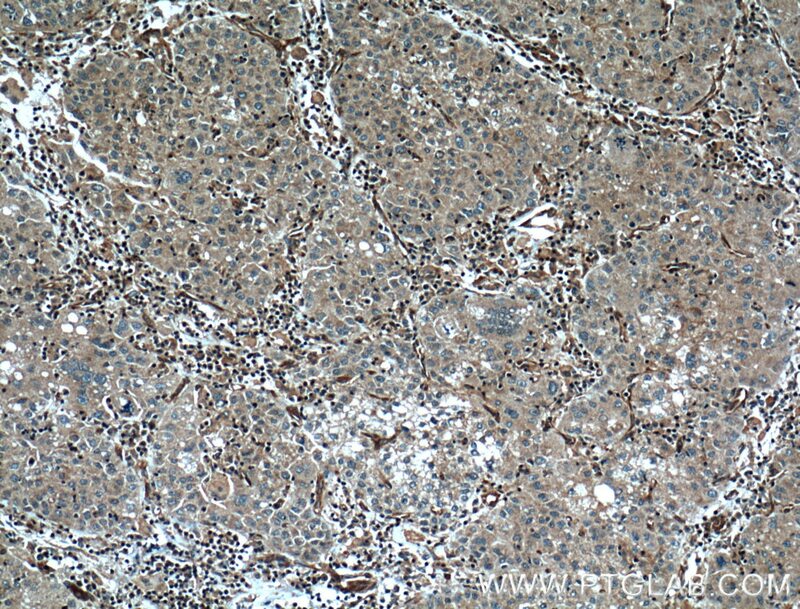 WB result of CASP8 with normal and apotosis Hela cell. 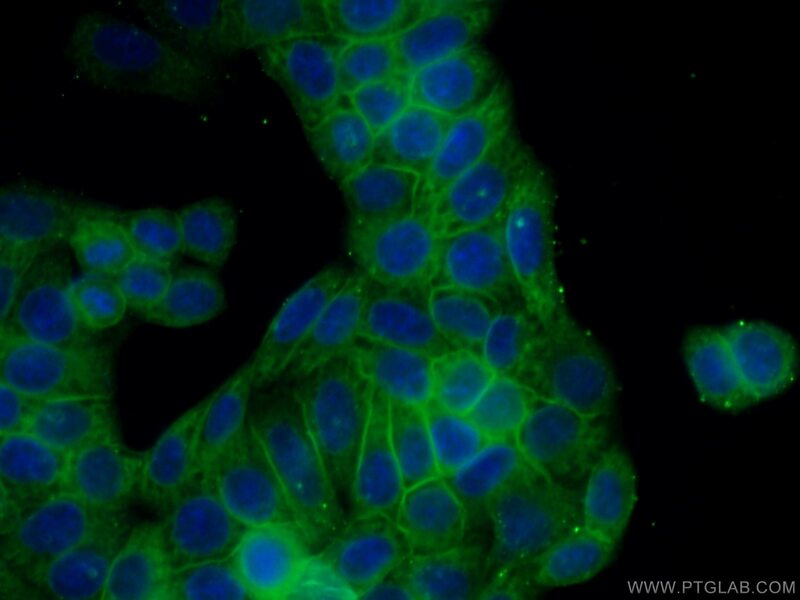 P18 can be get in the apotosis cell. 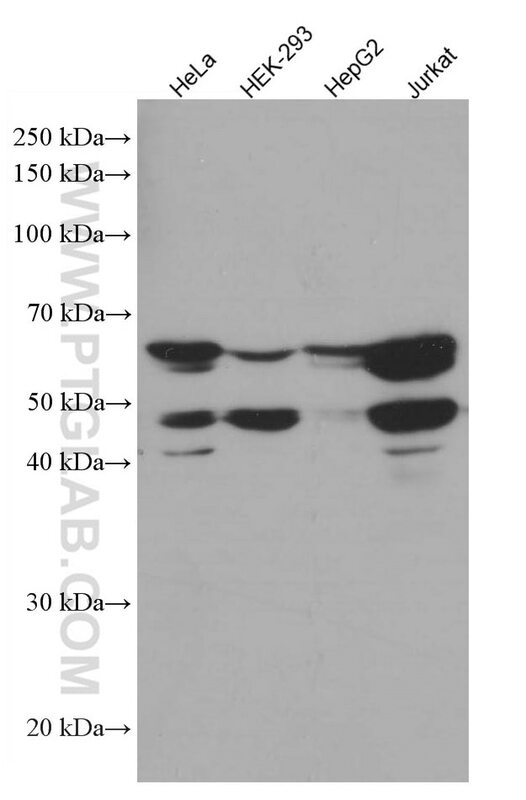 60kd,50kd and 45kd bands are some isoforms of precursor CASP8. 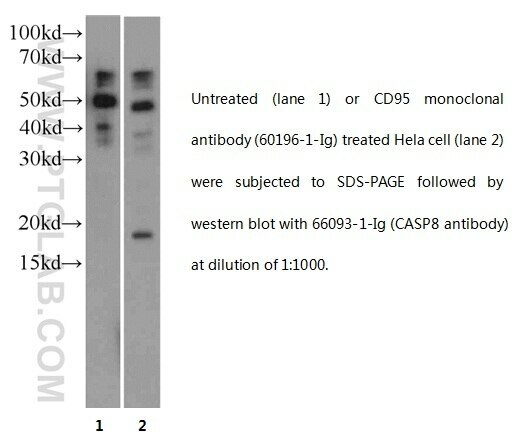 IP Result of anti-Caspase 8 (IP:66093-1-Ig, 5ug; Detection:66093-1-Ig 1:500) with HepG2 cells lysate 2400ug. 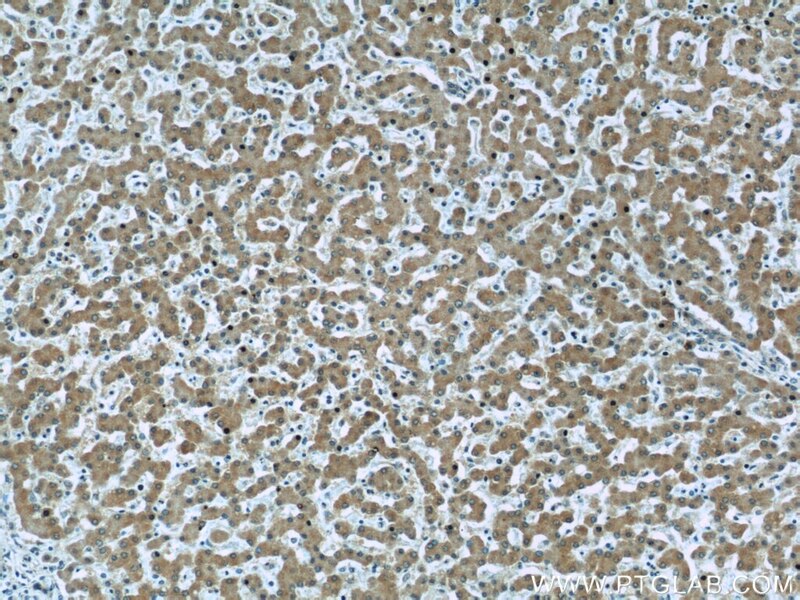 Immunohistochemical analysis of paraffin-embedded human liver cancer tissue slide using 66093-1-Ig( Caspase 8 Antibody) at dilution of 1:200 (under 10x lens). heat mediated antigen retrieved with Tris-EDTA buffer(pH9). 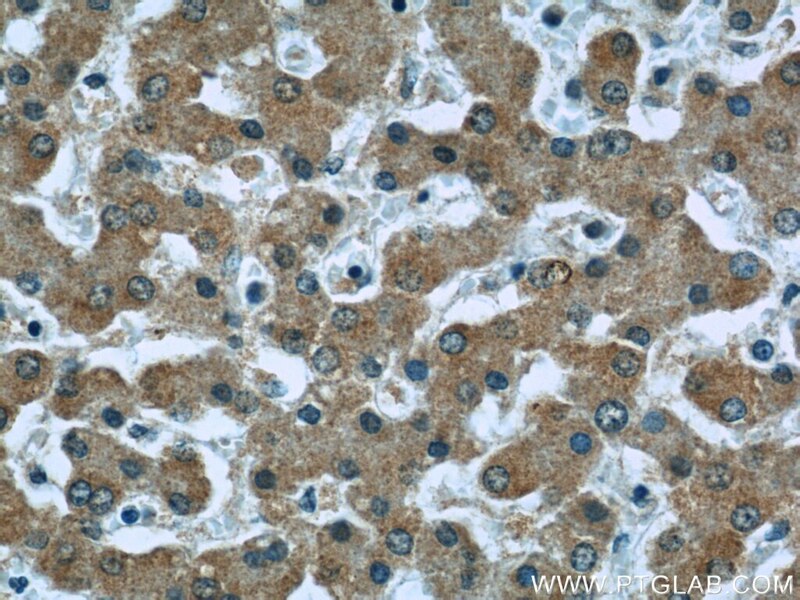 Immunohistochemical analysis of paraffin-embedded human liver cancer tissue slide using 66093-1-Ig( Caspase 8 Antibody) at dilution of 1:200 (under 40x lens). heat mediated antigen retrieved with Tris-EDTA buffer(pH9). Caspase 8, also named as MCH5, MACH, FLICE, and CAP4, belongs to the peptidase C14A family. It may participate in the GZMB apoptotic pathways and functions as an upstream regulator in a-bisabolol-induced apoptosis. 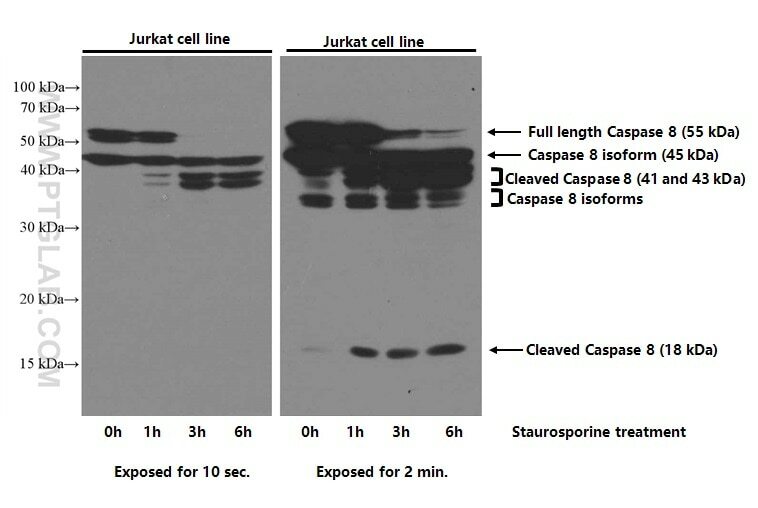 Caspase 8 catalyzes an essential intermediate step in the ubiquitination and proteasome-mediated degradation of IRF3 (PMID:21816816). It may control diabetic embryopathy-associated apoptosis via regulation of the Bid-stimulated mitochondrion/caspase-9 pathway (PMID:19194987). Caspase 8 is expressed as nine isoforms by alternative splicing with the molecular mass from 26 kDa to 62 kDa. 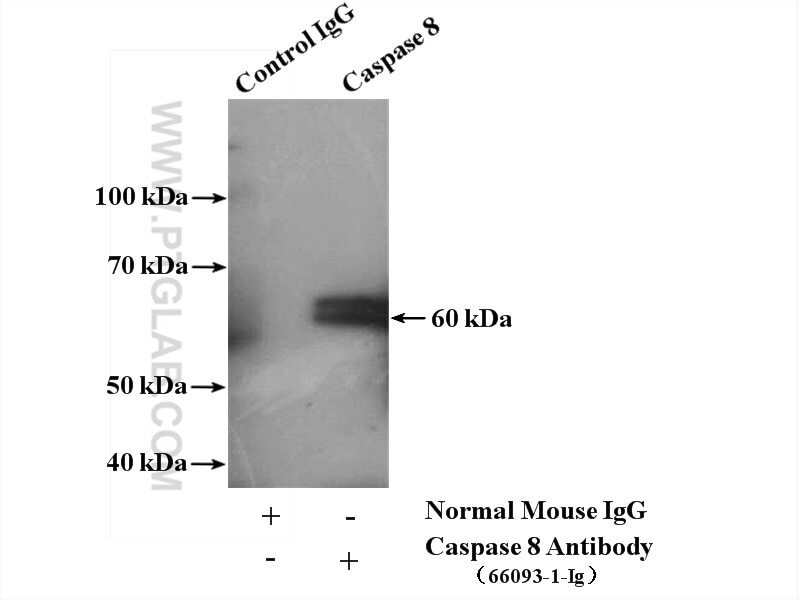 This antibody can recognize pro- and cleaved-caspase 8. 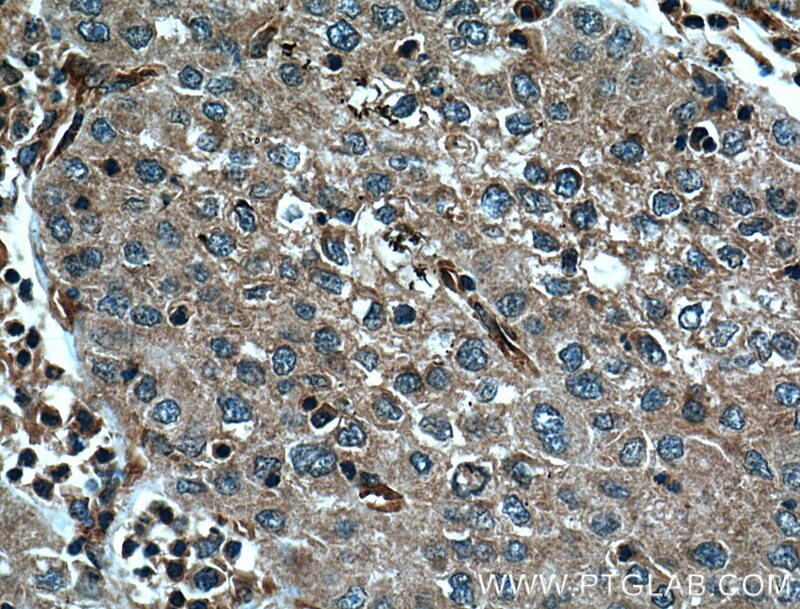 Ginsenoside Rg3 suppresses FUT4 expression through inhibiting NF-κB/p65 signaling pathway to promote melanoma cell death. Pretreatment with Fucoidan from Fucus vesiculosus Protected against ConA-Induced Acute Liver Injury by Inhibiting Both Intrinsic and Extrinsic Apoptosis. \Non-haemolytic enterotoxin (Nhe) of Bacillus cereus induces apoptosis in Vero cells. Capsular Polysaccharide of Mycoplasma ovipneumoniae Induces Sheep Airway Epithelial Cell Apoptosis via ROS-Dependent JNK/P38 MAPK Pathways.